We are lucky in this house. I’ve been able to go back to work just three days a week and Mr Techno’s flexible working pattern means he’s able to cover one of those days, meaning Tom is only in nursery two days a week. 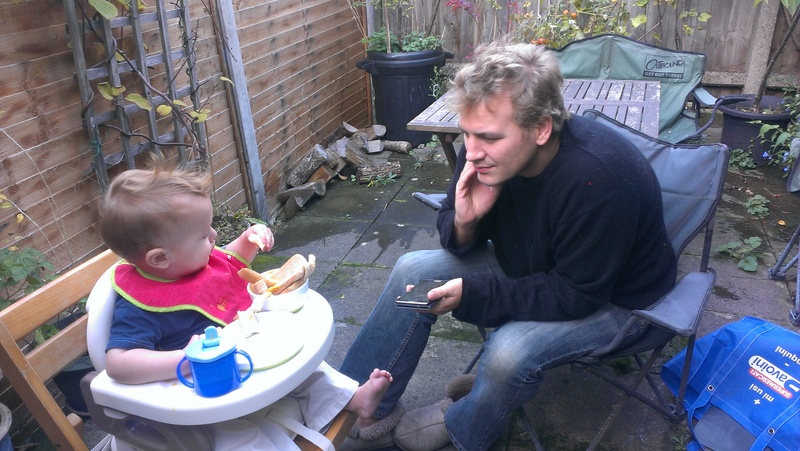 So we have a lot more time than the average family where both parents are working (only having one Wildling helps too). That being said, the recent intrusion of jury service into my normal routine has meant that time has been at a premium around here. Giving me the opportunity to experience time poverty first hand (every cloud and all that). Tom and I have developed a regular routine of walking home from nursery on the days he goes there. It takes about half-an-hour. With a bit of pre-planning, I’ve been able to adapt our route to go home via our local park. Once we get there, we park up the buggy and spend thirty minutes to an hour exploring, playing and practicing Tom’s walking. It’s just a small change to our regular routine that means we still get time outside, even on our busiest days of the week. If your house is anything like ours, mornings are a hectic time. Everyone has to get fed, dressed and out the door in time for work or nursery. And Tom has perfected the art of waiting til I have him in a nice fresh nappy, dressed and ready to leave, before unleashing a monster poo that puts us straight back to step one. So I’m a bit reticent to suggest anything that might make mornings even busier. The thing is though, that I find leaving the house just a few minutes earlier each day really does make the rest of my day calmer, easier and less stressful. 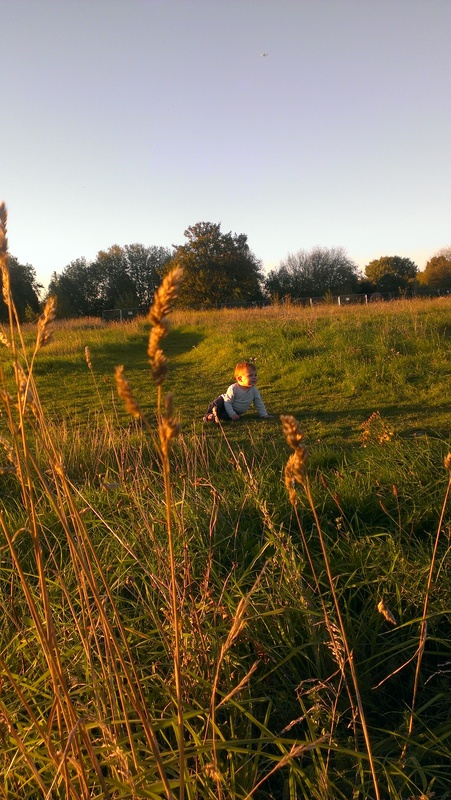 Instead of dashing Tom to nursery, jumping on the tube and going straight to work, we spend just five – ten minutes in the park, greeting the early morning dog walkers, breathing the air, and listening to the birds. 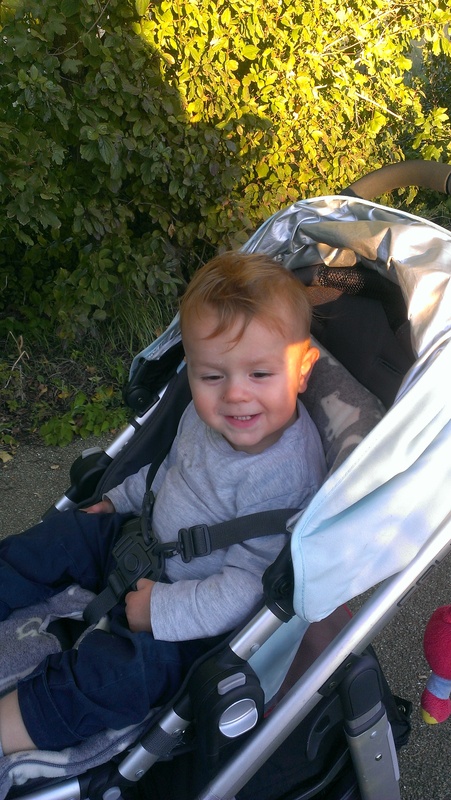 Tom doesn’t even leave his buggy, but the extra minutes of quiet and calm put us both in a better mood. So that’s it: three tips that have helped us get outdoors, even on the busiest days. What about you? Any tips for how you incorporate wild time into your daily routine?